So, who guessed where we went after the beautiful Brera?! Going down the subway and heading towards Garibaldi station, where the famous Unicredit Bank buildings and wafer houses are located (if I'm not mistaken). 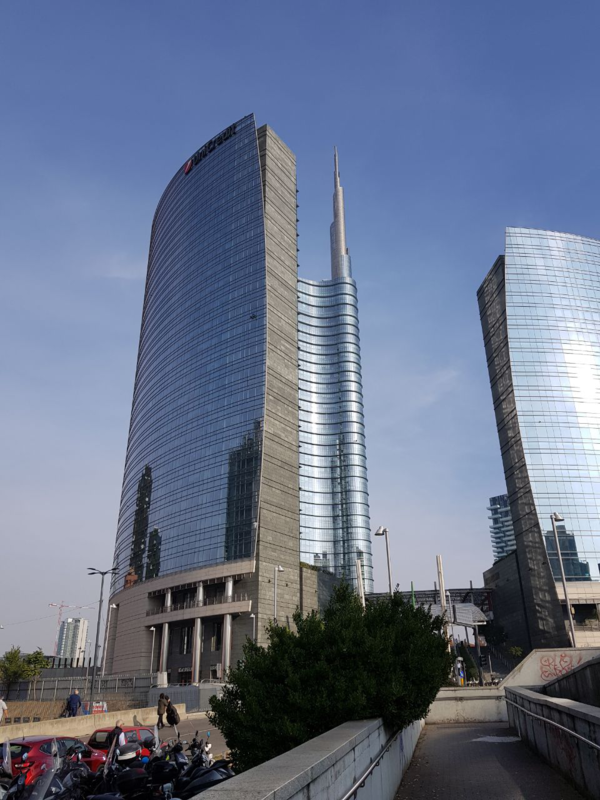 But we didn’t go up to Unicredit, as it was a weekday, and we can only go up there on Sunday (at least, it used to be so before). 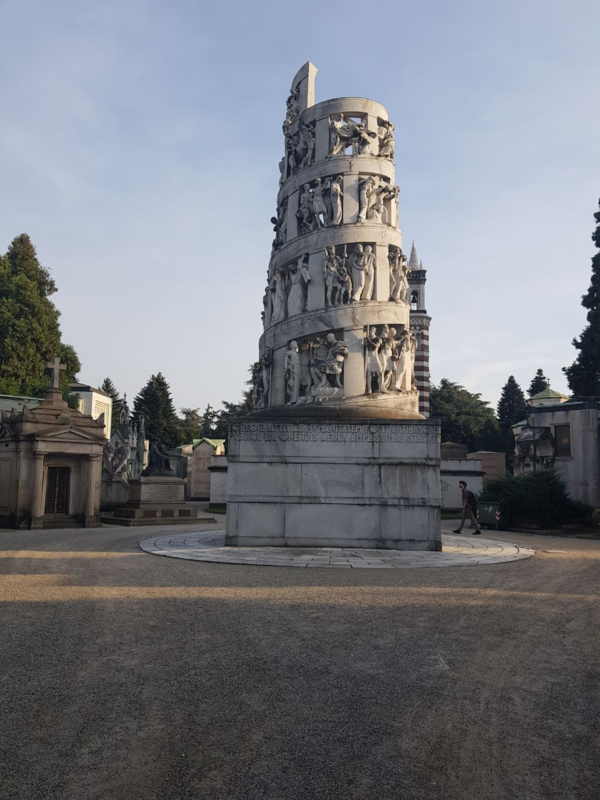 After walking about 15 minutes from the metro station, we arrived at the Milan cemetery. 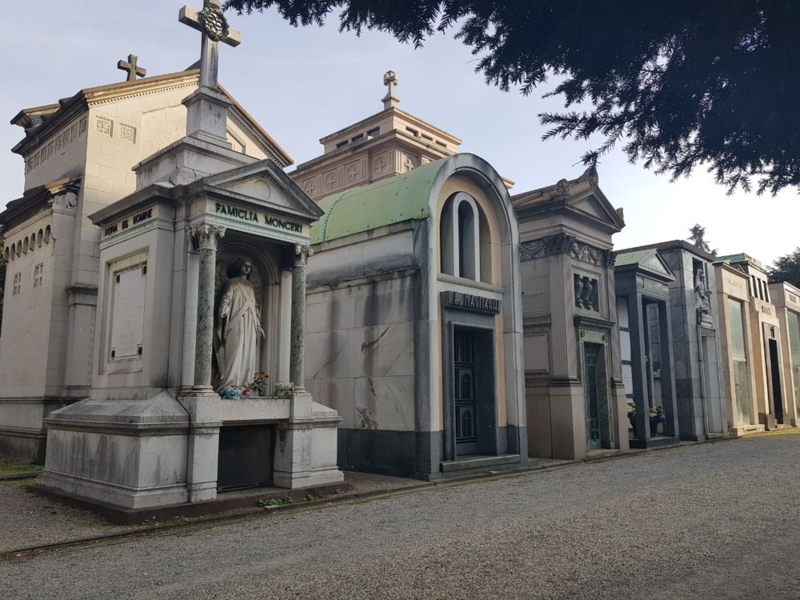 Truth be told, I don’t really like cemeteries, but I have heard a lot about the Milan cemetery. So we decided to look at it. 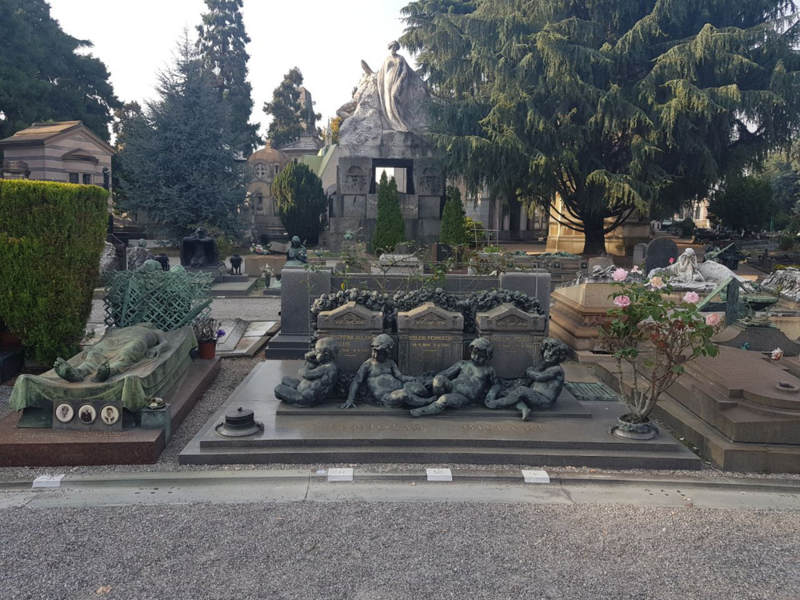 Milan Cemetery is an open-air museum. 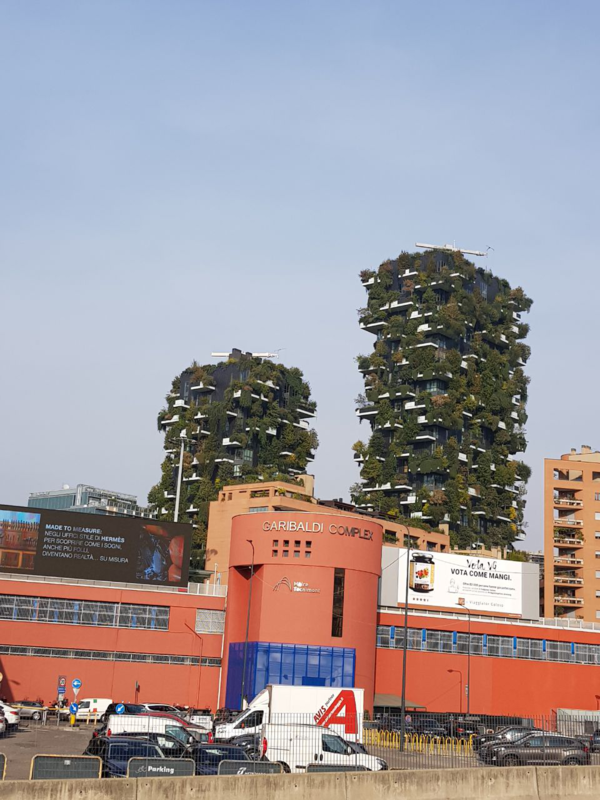 The design and architecture of Milan showed all its charm and sophistication here. What is not a grave is a true work of art. Such fine work. And the faces of the monuments as living. And it seems that you are walking among the graves, but such peace, calmness, lightness is felt. 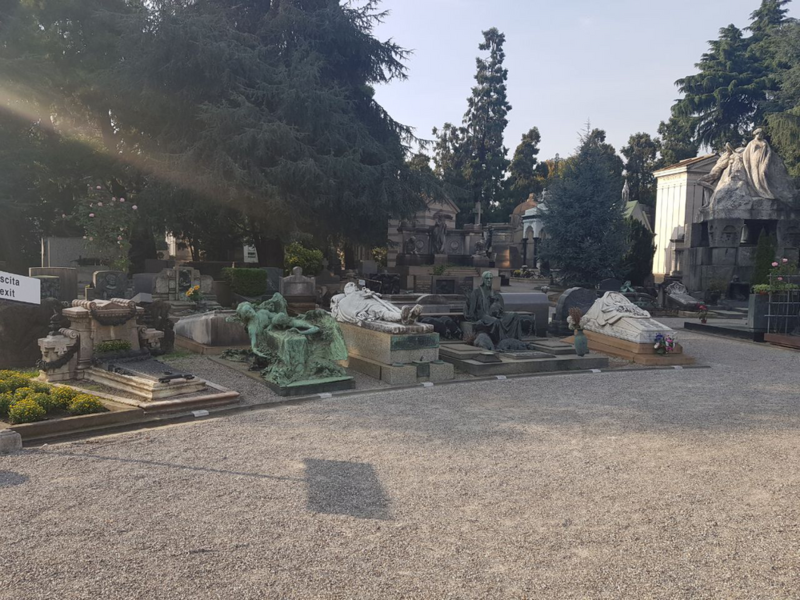 There is no feeling of eerie and cold that blows from other cemeteries, which had to go (we will not name the country and city). 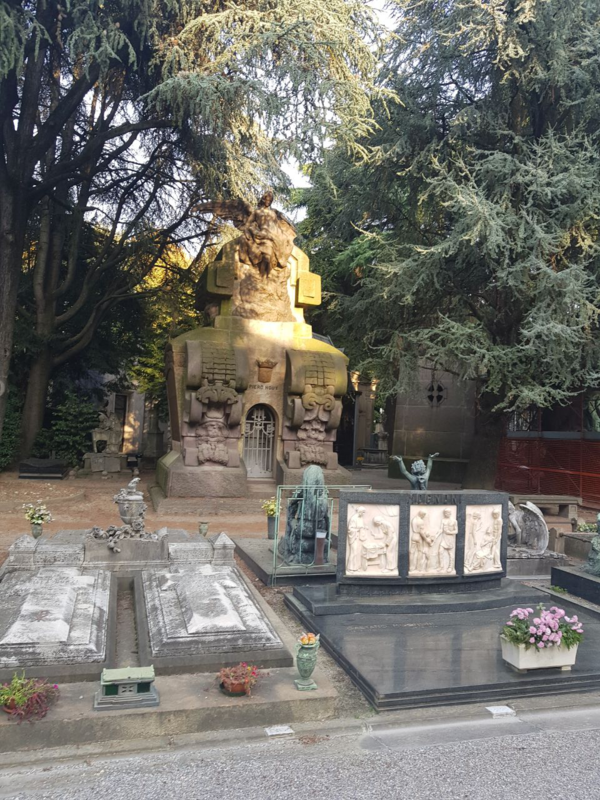 There are whole family crypts here. Some are very well maintained, with fresh flowers nearby. And some graves have long been visited by no one. We found a bench, sat on it a bit, enjoying each warm ray of sunshine. While sitting, as in childhood, watched the passers-by, and made up different stories. Probably, according to our fictional stories, you can write a whole script for the film. Next to the cemetery is China town , a small Chinese district, where there are many not only Chinese, but also other non-Italians, where there are cafes with various Chinese goodies, where you can find a bunch of Chinese synthetics, and where just a lot of interesting things and not very much. After the Chinese district, we went home, on the way buying a huge slice of pizza for only 6 euros. And at home we were waiting for the preparation for a significant day, when we put on long robes, a hat with a tassel that constantly slips from the head and falls down. Tomorrow we will officially be awarded our diplomas. So, the day was not easy, and it was necessary to prepare for it thoroughly. Beforehand to stroke things, think up a hairstyle, make-up, check tights and have not forgotten whether shoes at home. A hundred times to check where and at what time there will be a celebration. So many times to check on Google mep, how to get to this place. 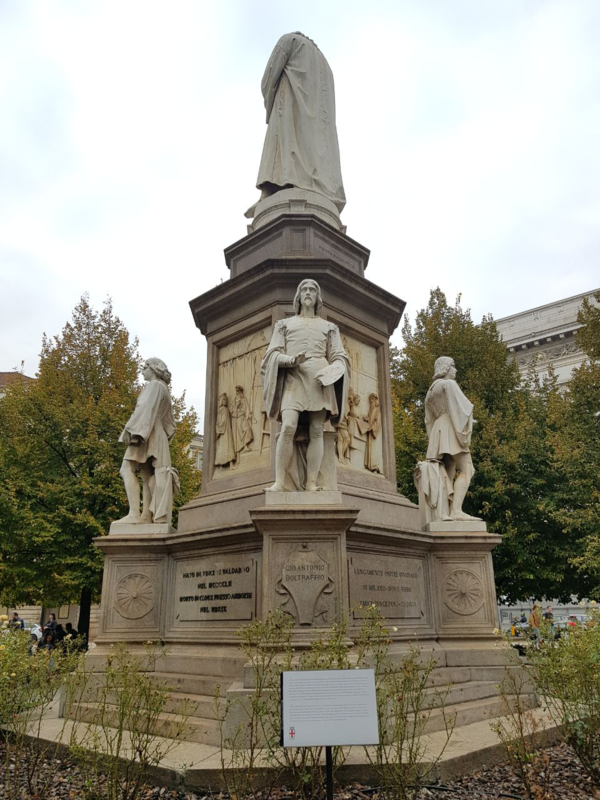 By the way, we were in Milan for 4 days. And for public transport, we bought 2 tickets for 48 hours. 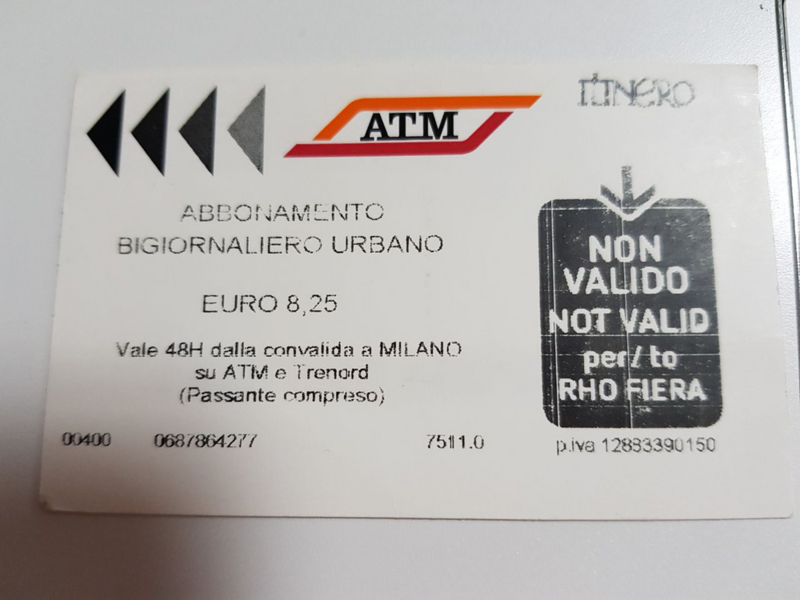 This ticket costs 8.25 euros. Well, now it's time to sleep. We must have a good sleep before a significant day.